Do you need a bigger file? The file available on this site is 1024 x 787 px. To obtain an alternate file type or higher resolution copy, please contact the owning institution. Scope/Content: Aerial view to the west. 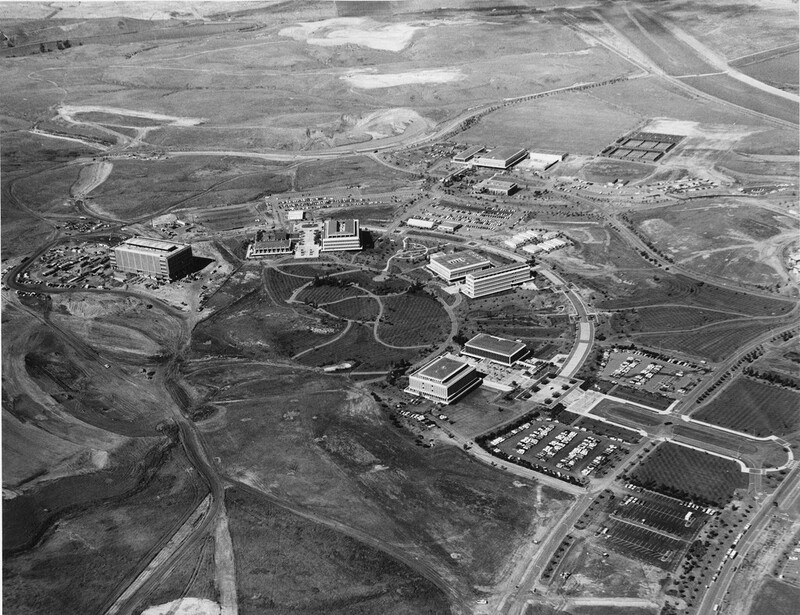 Site for UCI-California College of Medicine is visible at intersection of California Avenue and Bridge Road just to the left of Campus Hall (now Crawford Hall), March 1968.